Given the pace of our daily lives and the sheer amount of stress that so many of us experience, there’s never been a greater need for mindfulness meditation. If you’re like most people, though, the idea of incorporating a meditative practice into your daily routine can feel like an almost impossible task. Doesn’t meditation require hours of focus? Is it even possible to derive any benefits from it without spending an hour in sitting meditation? In fact, incorporating daily meditation into your life is easier than you think. To this end, we’re happy to offer you this free 10 minute guided mindfulness meditation by Tara Brach. All it takes is ten minutes of quiet reflection to feel an immediate difference in your mood, energy level, and overall consciousness. By mixing both Eastern spirituality and Western psychology, Tara Brach works to help people bring greater compassion, mindfulness, and attention to both their internal and external worlds. She provides readers and listeners with a unique approach to Buddhism here in the west, as she works to help us free ourselves from the bonds of suffering. 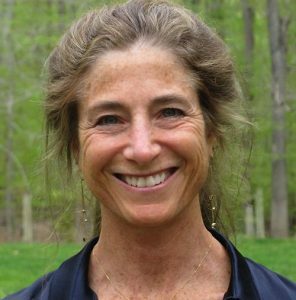 Tara Brach founded the Insight Meditation Community of Washington, DC in 1998. Today, the Insight Meditation Community of DC is one of the biggest meditation centers in the United States. Tara offers classes, workshops, and silent meditation retreats through IMCW, and she also travels around the world to offer talks and workshops at various U.S. and European mindfulness conferences. She’s also the host of a regularly scheduled podcast which attracts more than 1,000,000 monthly downloads. In her work, Tara Brach focuses on the importance of healing oneself and the world around us with the help of loving kindness and mindfulness. She also works to bring mindfulness practices to bear on major global problems, including global conflict, sustainability, environmental issues, racism, and inequality.